Don’t just make use of those left over broccoli stalks, make ‘em DELICIOUS! 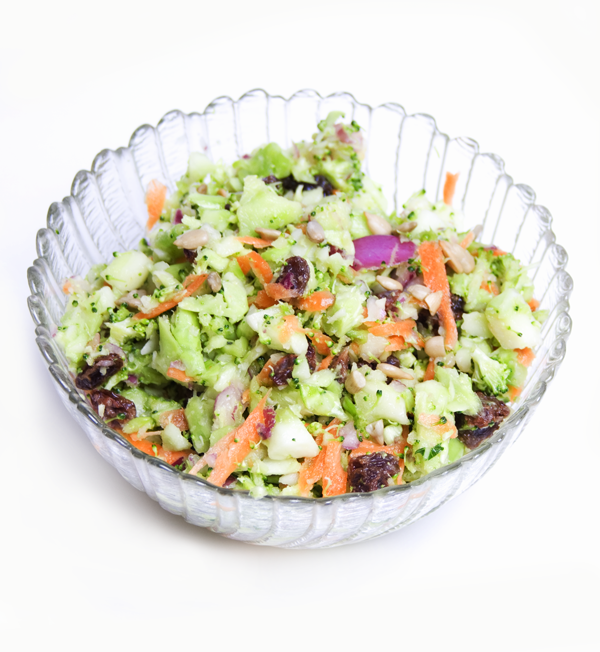 You will love this broccoli salad recipe. Use a nice organic raisin please. It will make all the difference in the world when it comes to taste. I use Newman’s Own brand, which I have found to be the best.